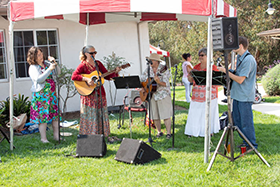 On August 11, Devereux California held its 18th annual “Devereux Day” celebration - it was a wonderful event for the more than 200 people in attendance! During this event, I shared our “State of Devereux California” presentation, including the status of our funding from state and federal resources. I stressed the importance of staying abreast of current legislation affecting behavioral healthcare at both the state and national levels. 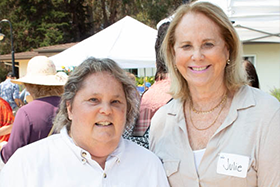 For instance, more than 40 years ago, the Lanterman Developmental Disabilities Act of 1977 was created and, today, it is vital that the provisions for our individuals set forth in this law are not forgotten. 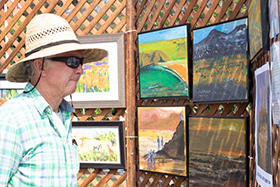 The original act extended California’s existing regional center network of services for the developmentally disabled and mandated the provision of services and supports that meet the needs and choices of the individual. The act also mandated that these individuals have the same legal rights and responsibilities as others by state and federal laws, which charges the regional center with the advocacy and protection of these rights. In addition, today’s system is essentially broken and underfunded. 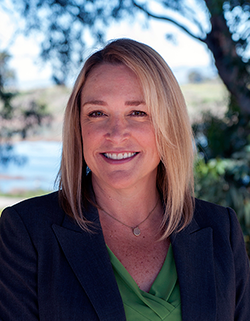 It is now up to organizations, like Devereux California, to advocate that reimbursement rates from the Tri-Counties Regional Center become unfrozen and adjusted in the state budget to match the costs of providing care. Along with families, supporters, organizations and other interested parties, it is up to us to stay active politically by writing letters, calling our legislators and voting. We need to ensure that the Lanterman Act continues to do what it set out to achieve 40-plus years ago. 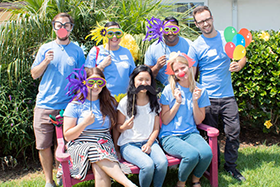 Thanks again to our families, friends and staff who support our mission – every day – to unlock and nurture human potential in adults living with emotional, behavioral and cognitive differences. 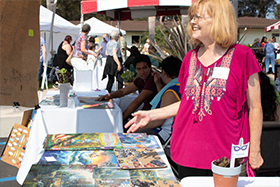 Participants in our Greenhouse program which supports pre-vocational training and skill building by propagating, cultivating and selling succulents and herbs had a special opportunity to tour the exclusive Lotusland gardens in Montecito. 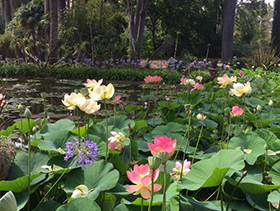 Lotusland is recognized as one of the 10 best gardens in the world. 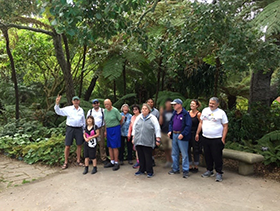 We are incredibly grateful to Sherman Vincent, a docent at Lotusland, and father of one of our Greenhouse program participants, for leading an enlightening and insightful tour of the breathtaking gardens. See photos below. 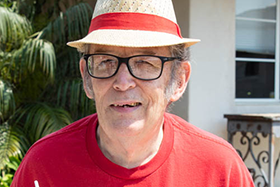 Devereux California would like to recognize Supported Living Services Direct Support Professional Leigh Marrin for his exemplary care of our individuals. Leigh continually goes above and beyond the call of duty to ensure that he meets (and exceeds!) the needs and desires of the adults he serves every day. Thank you, Leigh, for your dedication and commitment! At Devereux, direct support professionals are the backbone of our organization. 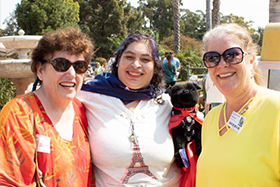 During Direct Support Professionals (DSP) Week – September 9-15 – Devereux will celebrate the work and dedication of its staff who bring hope, healing and joy to the individuals, and families, in our care. 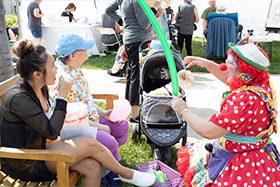 To recognize them for their support for this community, we are seeking donations of raffle prizes for the various events we have planned for this week. If you would like to donate a raffle prize, such as a gift card to a restaurant or attraction, please e-mail Wendy Cooper, manager of External Affairs, at wcooper2@devereux.org. Devereux wants to give a warm welcome to its new staff members! 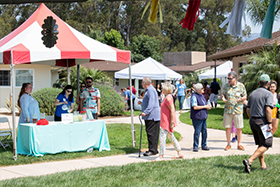 Held on the Devereux California campus, the special event celebrates and recognizes adults served by the nonprofit behavioral healthcare provider, who are diagnosed with emotional, behavioral and cognitive differences. 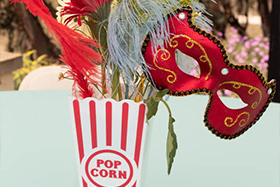 With a “Carnival” theme, guests enjoyed a Latin-inspired lunch, live music and games. 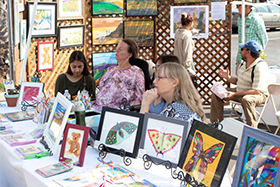 The event also featured an art and plant sale, showcasing the creativity and talents of Devereux’s individuals. 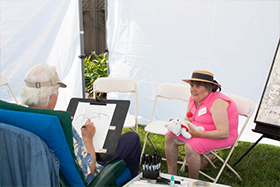 Attendees included Devereux California staff members, individuals served, family members, friends and supporters. 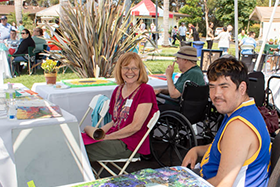 Devereux California provides a continuum of care for adults – ages 18 through the lifespan – with diagnoses such as: autism spectrum disorders, intellectual and developmental disabilities, and emotional and/or behavioral differences. For more information about Devereux Advanced Behavioral Health California, visit www.devereuxca.org. 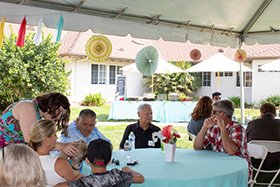 In August, Devereux California held a memorial service to honor a beloved individual - Chris - who was in our care since 2010. 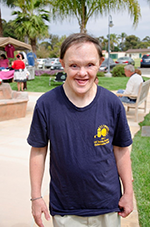 When he first arrived at Devereux California, Chris showed his strong spirit and tenacity by refusing to sleep in his room - he slept on the couch for two weeks! But our team helped Chris adapt to his new home. 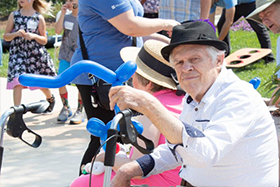 Once he became comfortable in his new environment, Chris brought energy, laughter and joy to the Weisman Center. He quickly made friends and brought smiles to all those he encountered. Chris loved music, dancing, bright colors, and tie-dye, and was often the life of the party. 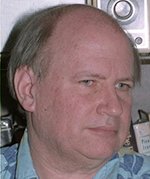 So many residents at Devereux remember him for his affection and friendship. Chris never missed a chance to hold your hand or let you know how excited he was to see you. May you rest in peace, Chris. 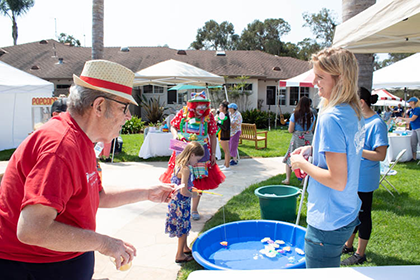 Devereux California currently serves more than 90 individuals in our residential facilities, and their own homes, throughout the Santa Barbara community - and that number continues to grow. Thank you to our Devereux families, individuals, staff, Advisory Board members, donors and all those who make it possible to continue the mission of our founder - Helena Devereux. 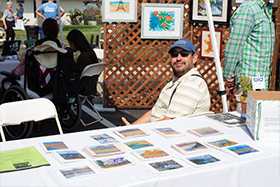 To support Devereux California with a gift, please contact the Office of External Affairs at (805) 879-0307. To learn more about a rewarding career with Devereux California, visit our careers page at http://jobs.devereux.org. Full time employees have the opportunity to receive fantastic benefits, including generous paid time off; medical, vision, life, accident and dental insurance; and retirement benefits. 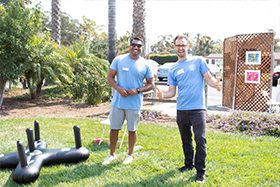 Search for positions in California to view the wonderful employment opportunities available for individuals who want to make a difference! Contact: Karina Lopez, recruitment specialist, at (805) 879-0319 or e-mail klopez3@devereux.org. 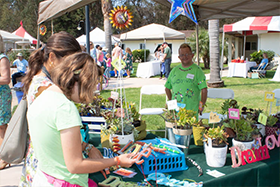 If you plan to visit the Goleta Farmers Market, make sure to stop by the Devereux California booth, where participants in our Adult Day Program will sell Succulent plants and herbs grown in our very own Devereux Greenhouse. Proceeds from all sales, after costs, are shared among the individual workers. The Devereux Greenhouse is also open for sales on Friday mornings, from 9:30 a.m.-12 p.m., as part of our Adult Day Program.